An invaluable companion for anyone who is interested in the literature of Andalucia. This is a thoroughly-researched, comprehensive guide to every major writer who has ever lived, or spent time, in Andalucia. From Miguel de Cervantes to Michael Jacobs, Washington Irving to Chris Stewart, the book’s authors take an exhaustive journey across the region from west to east, cataloguing the impressions of illustrious visiting men of letters, as well as the works of those born in the region, or who chose to set their works in Andalucia. In total, over 100 writers are mentioned in varying depth. The impressive range stretches across eras and genres of literature, with many from the last couple of centuries: iconic authors long associated with Andalucia such as Lorca, Machado and Hemingway, as well as those whose connections with, and influence from, the region are less celebrated, although still significant – Aldous Huxley, Hans Christian Andersen and George Eliot. The literary journey starts in Seville, which has received and delighted the likes of Somerset Maugham and Lord Byron, as well as the bible-selling hispanophile George Borrow, who was fascinated by gypsies and spent time with them in Triana, then a dark and dangerous place. In the year of Cervantes’ 400th anniversary, you can trace the plaques around the city which mark spots mentioned in the Don Quixote author’s Exemplary Novels, notably Rinconete and Cortadillo, about two young hoodlums. This book moves province by province – the furthest west, Huelva, gives us Nobel Prize-winner Juan Ramon Jimenez and his faithful donkey Platero in Moguer, as well as British naturalist-writers who worked in Doñana in the park’s pre-UNESCO-recognized 1950s. In terms of historical reach, the earliest mention is by Pliny, moving on to early Cordoban intellectuals Muslim Averroes, and Maimonides of the Jewish faith, touching on the region’s long multi-cultural past. Anyone familiar with Andalucia will be aware that Gerald Brenan lived in Alpujarran village of Yegen in the 1930s, receiving Bloomsbury Set luminaries Woolf and Carrington in his house; what they may not know is a darker side of the story which this book explains. The daughter he had with his Spanish maid was taken away from her mother to be brought up by Brenan and his wife Gamel Woolsey, losing all contact with her maternal family. One author which every British visitor to Andalucia should read, if they haven’t already, is the superb Michael Jacobs, a historian and translator who lived in the Jaen village of Frailes, as recounted in A Factory of Lights. Jacobs doesn’t follow the stereotype of restoring an old house, instead writing with insight and wry humour about the village’s characters and local events, including the traditional, back-breaking labour of collecting olives in the harvest. Especially useful are short biographies of each writer featured (many more than I’ve mentioned here), plus a timeline of literary and cultural events in Spain along with pertinent political developments from 1100BC to present day, along with an index of works, writers and places. If you live in Andalucia, and have any interest in literature, this book is well worth buying to surprise and delight with snippets about your own home province. Equally, if you’re interested in the region or are planning to visit – or someone you know is making the trip or has made their home there – it offers a valuable introduction to the history and culture, which are the essential context for these literary tales. Read our pages written by the book’s authors on various writers mentioned. 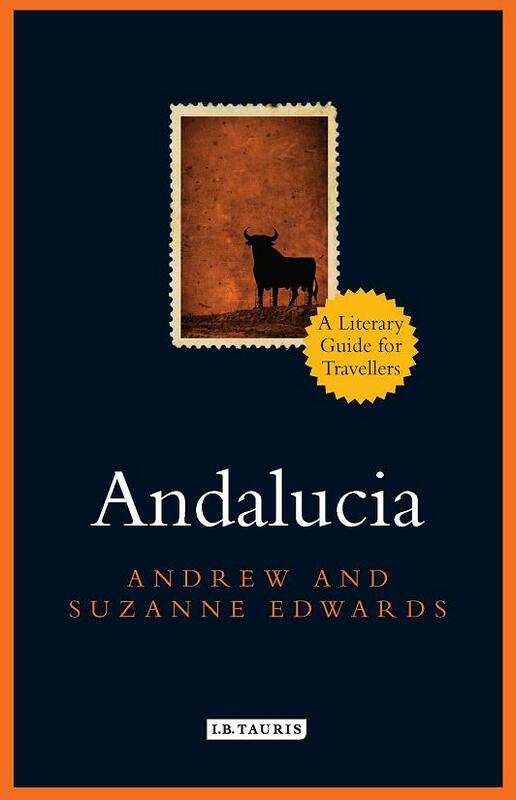 To order a copy of Andalucia – A Literary Guide for Travellers click here.